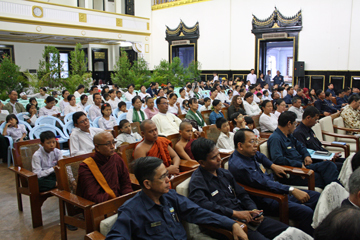 The donation ceremony at City hall in Yangon. 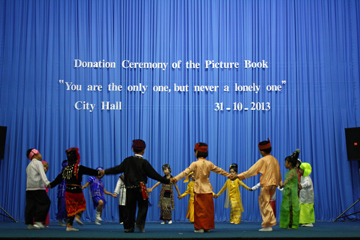 In October 2013, the Burmese version “You are the only one, but never a lonely one” was donated to children in Myanmar with support by Sompo Japan Insurance Inc.
On 31st October, the grand donation ceremony of it was held in memory at City Hall in Yangon in the presence of Mayor of Yangon the Hon. 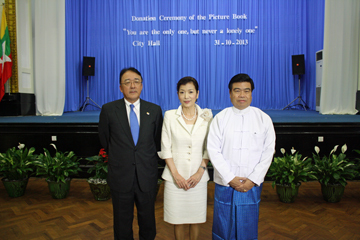 U Hla Myint and Japanese Ambassador in Myanmar H.E. Mr. Mikio Numata, with attendance of approx. 180 people in all (the representative children from approx. 50 elementary schools, and so on). 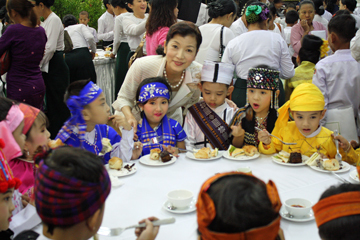 At that ceremony, children performed Myanmar Traditional National Dance. With Ambassador H.E.Mr. Mikio Numata,and Mayor the Hon. U Hla Myint. Visited a temple school and a local elementary school in Yangon. 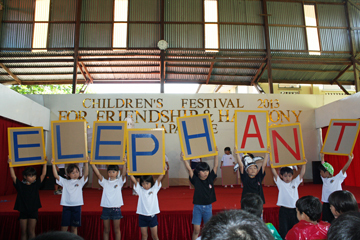 On 1st November, we visited a temple school and a local elementary school. 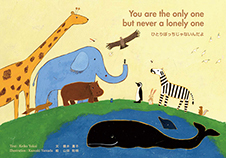 We donated our picture books, and spent time with children with teaching the way of folding paper crane with Chiyogami (Japanese paper with colored figures). 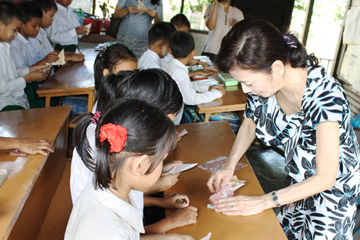 Children folding paper crane enthusiastically. 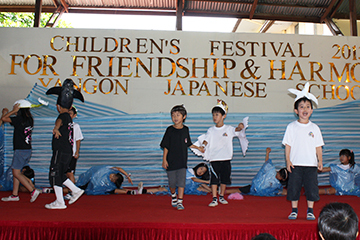 Furthermore, on 2nd November, we were invited to Children’s Festival at Japanese School in Yangon, and children showed the play based on our picture book. 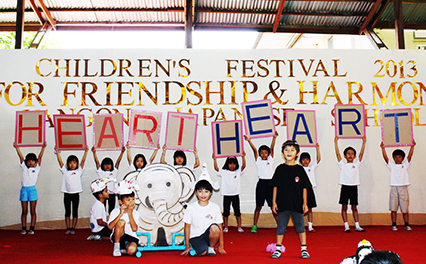 We were really impressed as we could feel that they had elaborated and practiced it hard everyday for this day. 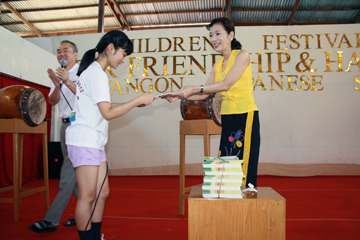 “The Myanmar Times” reported the picture book donation ceremony in Yangon City, Myanmar. 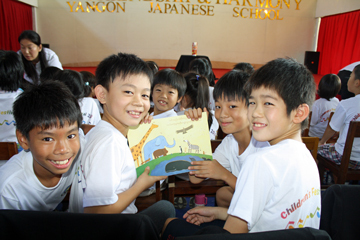 Sompo Japan Co-sponsors the Picture Book Donation Project for Children in Myanmar.